NAOFlasher is a tool allowing you to update your NAO Operating system (OpenNAO). Resets the whole system in a similar state as if the robot was just out of the factory. and any settings will be reset to their default values too. (rare) if you want to downgrade to a former OpenNAO software release. Then you may prefer a Simple update via Choregraphe. Make sure you know which version of NAO you have. If you hesitate, see NAO Version. If the USB stick you just flashed doesn’t work, it is may be due to the old files in your home directory. Try flashing your key again with the Factory Reset option enabled. DISKPART is a very dangerous tool if you don’t know how to use it. It can potentially erase all your data without warning. Please be careful and don’t use it if in doubt. 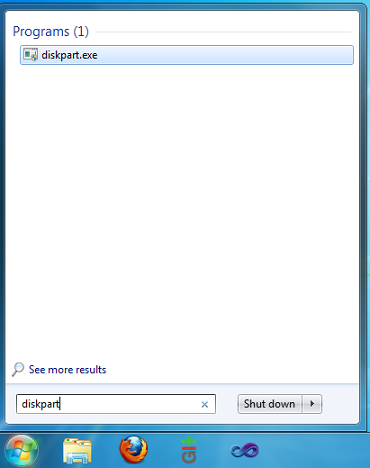 Go to the windows search box and type diskpart. Then type ENTER or click on the diskpart icon to launch the program. 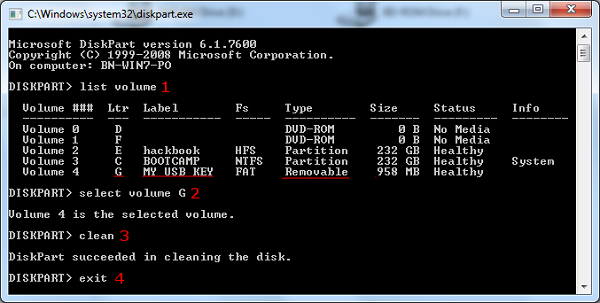 DISKPART might fail to operate on the drive if the flasher is running. Exit the flasher before running DISKPART. list volume: this will list all the volumes present on your computer. Find the line that correspond to your USB stick and remember the corresponding letter (Ltr column). select volume X: replace X with your drive letter. This will enable you to do actions on the drive. clean: erase all data and partitions on the drive. You can’t undo this! exit: exits DISKPART. You may now try the flasher again. You can use, for example, GParted. GParted is a very dangerous tool if you don’t know how to use it. It can potentially erase all your data without warning. Please be careful and don’t use it if in doubt. Launch GParted with root privileges. Select the device corresponding to the usb stick. On this device, delete all existing partitions. Triple check that it is selected device is the right one. For further information, read the GParted online documentation: http://gparted.sourceforge.net/display-doc.php?name=help-manual. Right-click it and choose Run as administrator. My new USB stick doesn’t work!